This completely unoriginal video, released 3 days ago, is apparently controversial. I personally found the video of him making babies with Minka Kelly more upsetting. 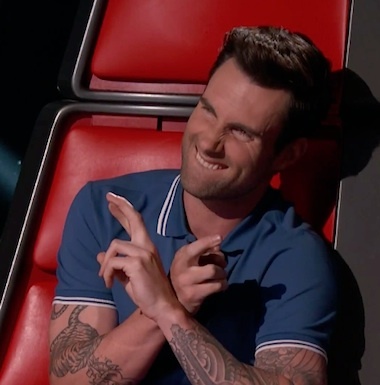 This week’s elimination episode of The Voice, season 4, drove me crazy. If you watch, you know I’m talking about Adam Levine’s entire team being kicked off in favor of Blake’s three country bumpkins. An understandably pissed Adam was scrutinized for saying “I hate this country” in a moment of frustration after Judith Hill, a former mother*cking backup singer for Michael Jackson, was voted off by America. Usher sported big-rimmed Michelle Chamuel (love her) glasses in support of his unlikely protégé and Shakira almost fainted when her only hope, Sasha Allen, was announced as safe. The biggest injustice of Tuesday night had to be the non-elimination of the novelty duo The Swon Brothers, who I doubt will have much luck booking a concert at a bar with a $5 cover charge in a few years. 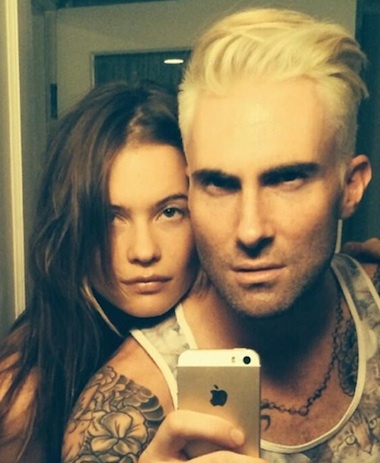 Newly single Adam Levine has dropped a new single. Actually it’s a new VIDEO featuring Minka Kelly and he isn’t even single but I opted for the play on words, no matter how unfitting. 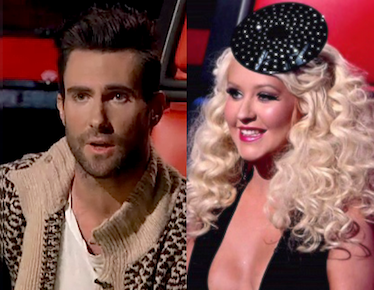 I became obsessed with The Voice last season, when the show was in its beta phase. When they didn’t anticipate enough rejections in the blind auditions, and cast members had to re-audition to fill spots. The show is still flawed, battle rounds pit too good of foes against one another, causing people who might have won to go home early. Angie Johnson versus recently axed Cheesa was one of those times. You may or may not have noticed that this, but for the third battle round in a row, the judges on The Voice haven’t bothered to change their clothes. This is actually because these two-hour episodes were filmed all at one time. The dummies at NBC didn’t bother to tell Christina Aguilera to take off her shrunken Liza Minnelli hat to at least allude to it being a different day. I’m tired of Adam Levine in his oversized brown J-Crew abomination that looks it’s from the closet of some rustic cabin in Colorado. And Cee Lo, in a specially-made letterman jacket for Big & Tall dwarfs. These days, it’s bizarre when a celebrity DOESN’T have a scent. Now Adam Levine of The Voice/Maroon 5 is launching a fragrance called “222,” which is already the name of his clothing/instrument/whatever line.